Chester, Manchester and Liverpool-based PR, marketing and digital agency, de Winter, has been appointed by UK's leading lawn care provider, GreenThumb, to create and manage a fully integrated national PR and social media strategy. The agency’s overall remit is to increase brand exposure; key tactics will include national product placement, creative news generation, and social media community engagement in addition to supporting the nationwide network of over 200 GreenThumb franchises with local PR. The win comes following de Winter’s successful rebranding exercise of the company’s 700 new fleet of Mercedes vans earlier this year, featuring the newly developed branding ‘Bringing Lawns to Life’. The livery design cleverly showcases a full 360-degree angle of a beautiful summer lawn being enjoyed by the full family. The photoshoot was a real family affair, with de Winter’s Managing Director, Kate Cox, art directing and her children modelling on the new van design! De Winter’s winning strategy seeks to extend this strapline further and focus on encouraging current and future customers to focus not simply on lawn care, but also on enjoyment of the outdoors and memories that can be created by spending time outside. 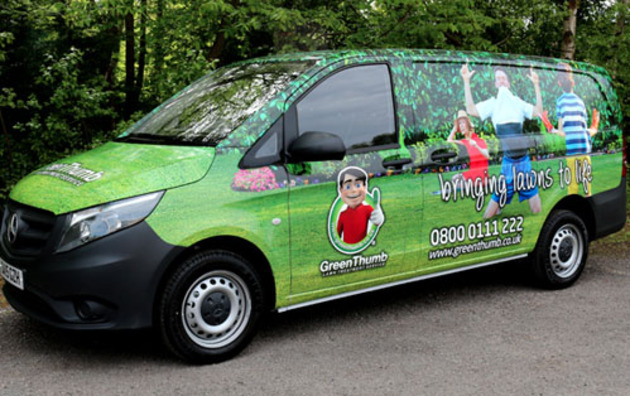 Kate Cox, said: "The team successfully delivered high impact on the road with the new GreenThumb livery and we’re delighted to now be able to further integrate our branding campaign through national PR and social media. “It’s an extremely exciting opportunity to support the ambitious growth plans of GreenThumb, who is already number one! Turning 30 next year is also a wonderful chance to generate even more impact and branding for the company. We can’t wait!"